Gross Floor area | 196 sq.m. 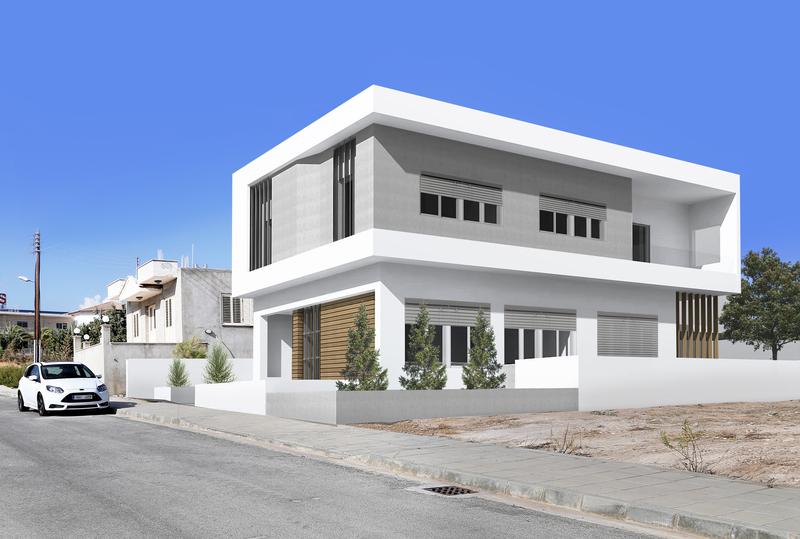 This is a residential building designed by our Architects Giorgos Nearchou & Antia Perikleous for their clients Marina & Valantis. 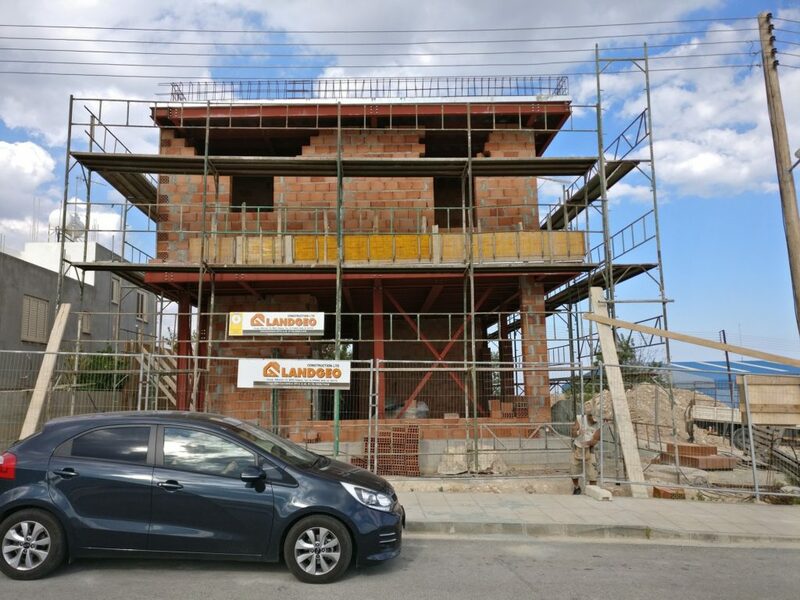 The building is located in Ypsonas, Limassol, Cyprus. The mechanical and electrical studies have been prepared by Costas Petrides and Petros Petrou respectively. Also, the Energy Performance Certificate (EPC) has been prepared by our mechanical engineer Costas Petrides. 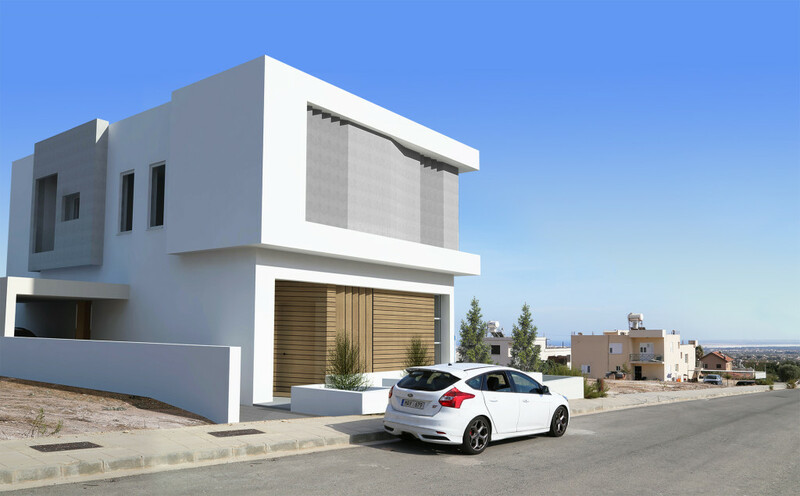 The building is located on top of a small hill in Ypsonas, Limassol, having a beautiful view of the Akrotiri peninsula. 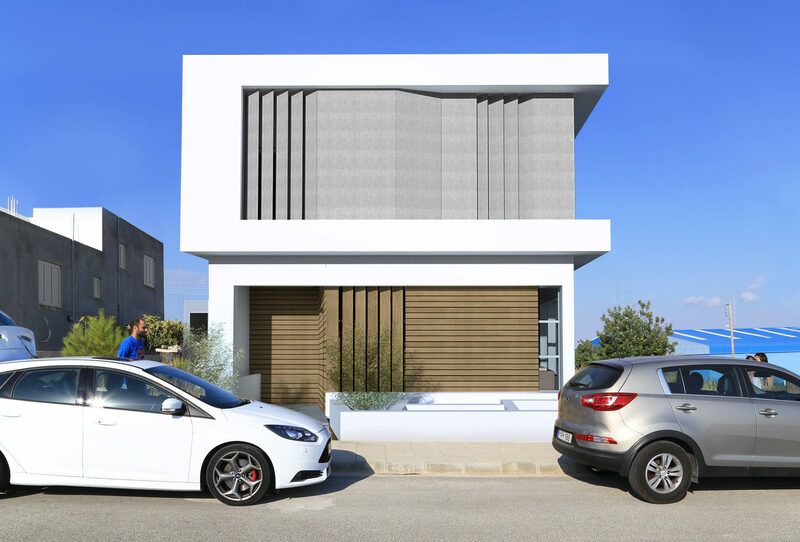 Finishing materials, such as Iroco wood and Fiber Cement Boards (FCB), have been used on the front elevation of the building for aesthetic purposes as well as for shading, reduction of noise and as wind barriers. Moreover, the building is very well-insulated due to the use of thick ORTHBLOCKS for the walls. The roof is also heavily insulated by using 100mm of polystyrene on top of the roof slab, and 100mm of rockwool underneath it. The building has been designed bearing Bio-climatic principles in mind. There are two open-plan areas at the ground floor. The first open-plan area is comprised of the living room and the dining area, which are oriented South and West; the main reason being the thermal gain during the winter season from midday to sunset. In contrast, the kitchen and sitting area open-plan is oriented South and East to gain from the morning sun during the winter. Regarding the summer sun, we prefer to avoid direct sunlight in the room (hence preventing overheating of the building), so cantilevered slabs and/or vertical shading element have been designed carefully after a thorough solar study analysis. On the first floor, all three of the bedrooms have large opening to the South, limited opening to the West and East and no opening to the North at all. Again, the openings have been thoughtfully placed bearing bio-climatic design principles in mind.